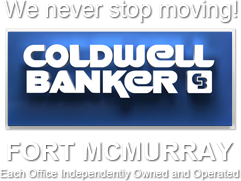 Welcome to our comprehensive Fort McMurray Real Estate Listings Search tool. Start by selecting an area of Fort McMurray on the map then click next and modify your search filters to better narrow down the kinds and types of homes you're looking for. You can limit your search for Fort McMurray real estate by a price range, square footage, number of bedrooms or bathrooms and more. Once you see your Fort McMurray MLS® System Search Results, you can easily view the listings on Google Maps or on Google Earth. There are 1072 properties available.